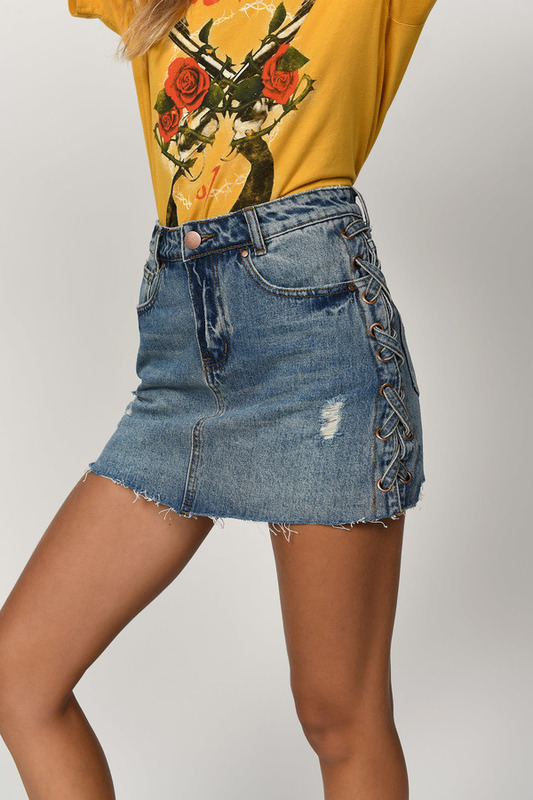 Check out Tobi's Ventura High Rise Lace Up Skirt Sometimes we want to feel casual and sassy, so we made the Ventura High Rise Lace Up Skirt. 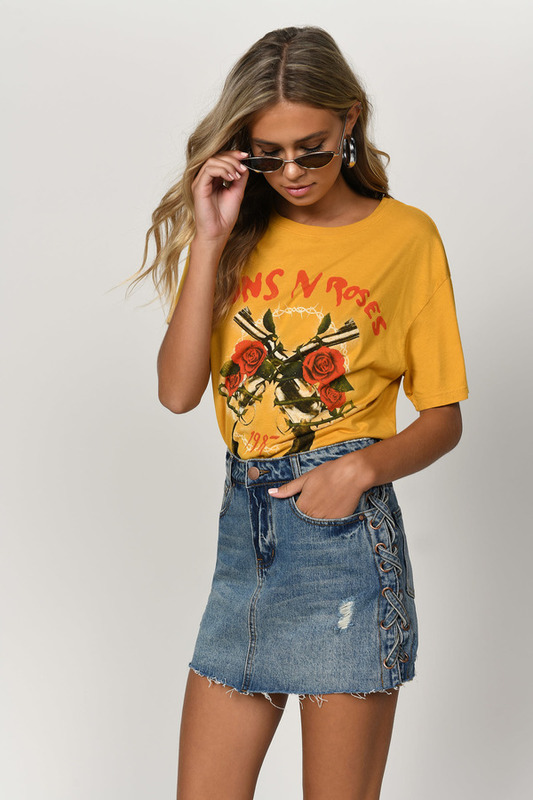 Lightly distressed with a raw hem finish, the highlight of the this piece is the denim lace-up detail that is subtle and flirty. Sometimes we want to feel casual and sassy, so we made the Ventura High Rise Lace Up Skirt. 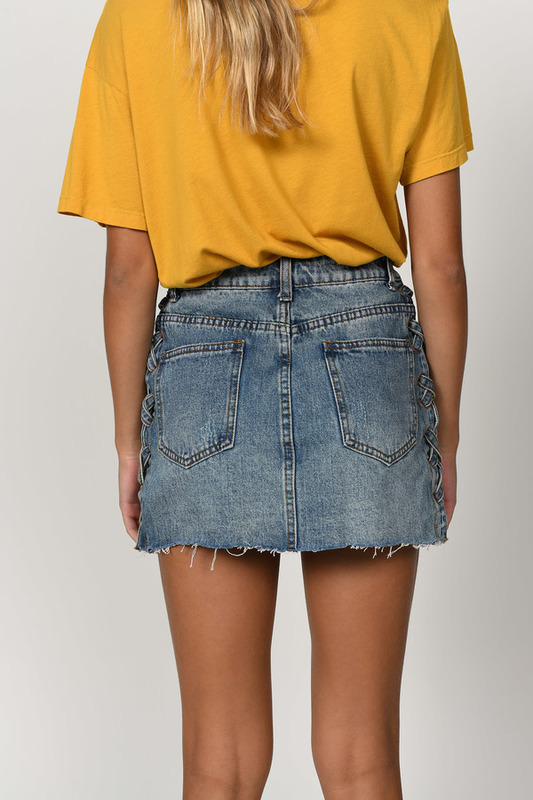 Lightly distressed with a raw hem finish, the highlight of the this piece is the denim lace-up detail that is subtle and flirty.